In the spring of 1846, Francis Parkman, a Harvard-educated Boston-born aristocrat, headed west to experience the untamed regions of America, to acquaint himself with the wild mountain men in the Rockies, and to visit the surviving Indian tribes before all were absorbed by the relentless advance of Western civilization. Only twenty-two years old, Parkman had been preparing for this expedition his entire life, making scientific collections in the woods as a child and learning to ride a horse and shoot a gun better than nearly anyone else in New England. 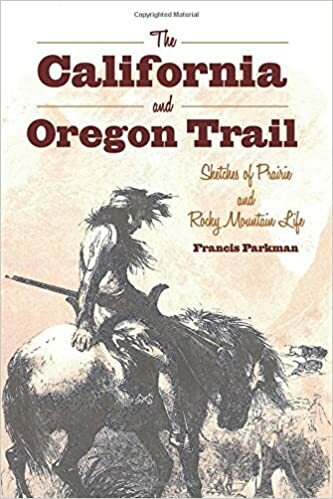 The California and Oregon Trail is Parkman’s thrilling account of a summer spent journeying from St. Louis through the Great Plains and Black Hills to the Rockies. Traveling with his guide, Henry Chatillon, Parkman comes to revere the French trappers and voyageurs who had originally opened the country while mastering an essential art of frontier survival—hunting buffalo. Though plagued by a mysterious illness since childhood that left him weak and blind for long periods of time, Parkman was the picture of perseverance, eagerly covering vast stretches of the Great Plains with a roving band of Sioux for days on end. He returned home exhausted—almost entirely blind—and was forced to dictate the entire account, lending the book its breezy, conversational style.